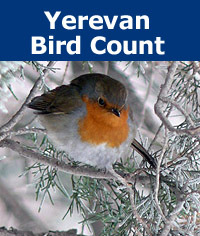 Help train young students to identify birds in Yerevan and track the status of important environmental indicators. A great way to help children of Armenia learn about the environment and the importance of protecting it. You will receive a letter confirming your tax deductible contribution from the American University of Armenia.